Manchester-based In Touch Networks - a group of businesses partnering companies with board members, directors and consultants - has appointed More Media Sales to attract more partners for its members. In Touch Networks, led by CEO Matt Roberts, has enjoyed exponential growth over the past three years, increasing staff members from one to 70 and its network from 21 members to 26,000. Its sites include NonExecutiveDirectors.com, TheConsultantHub.com, WomenDirectors.com, FinanceDirectorNetwork.com and InvestorDirector.com. In November, In Touch Networks was announced as a winner in the Deloitte Technology Fast 50 Awards, securing the top spot as the fastest growing technology company in the North West with a growth rate of 454%. More Media, set up by former News International head of sales Andy Garner, recently agreed a partnership with data-driven tech company Ve Interactive. 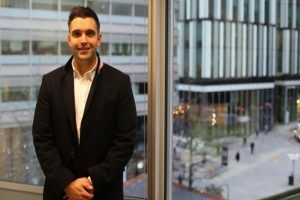 The account will be managed by More Media's latest recruit, former account manager at Associated Newspapers' Mail brands in the North, Howard Anson.